By comparing genomes from ancient animals and humans we can uncover new information about the past. This is a golden age of ancient DNA. Knowledge of those materials which preserve DNA best such as parchments or particularly dense mammalian bones, coupled with new sequencing technologies, has enabled us to retrieve whole genomes from the past on a routine basis. This has allowed us, for example, to add a dimension to the material study of ancient manuscripts and to infer the major population transitions in European prehistory, placing migration firmly back as a central theme in understanding cultural change. Genomic signals of migration and continuity in Britain before the Anglo-Saxons. Martiniano R, et al Nat Commun. 2016 Jan 19;7:10326. doi: http://dx.doi.org/10.1038/ncomms10326. Neolithic and Bronze Age migration to Ireland and establishment of the insular Atlantic genome. Cassidy LM, et al. Proc Natl Acad Sci U S A. 2016 Jan 12;113(2):368-73. doi: http://dx.doi.org/10.1073/pnas.1518445113. Epub 2015 Dec 28. 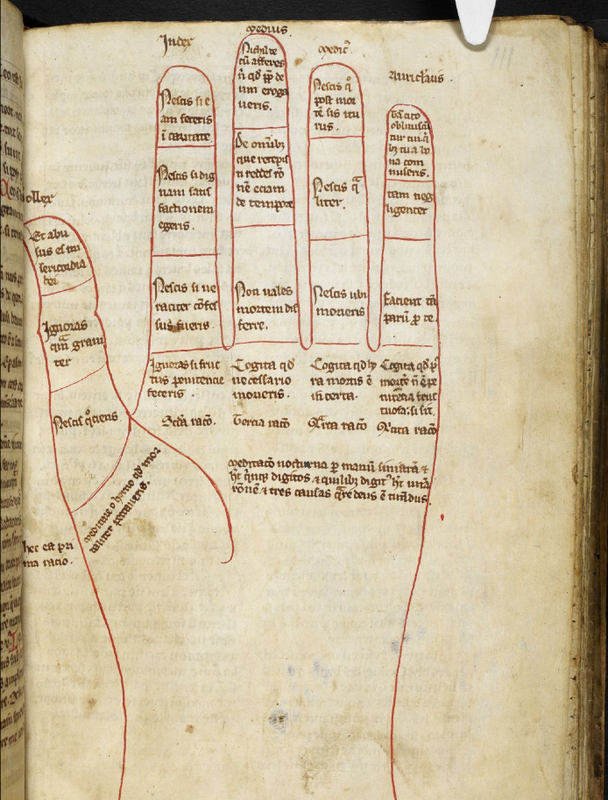 The York Gospels: a one thousand year biological palimpsest Matthew D. Teasdale et al. 2017 BiorXiv doi: http://dx.doi.org/10.1101/146324. Upper Palaeolithic genomes reveal deep roots of modern Eurasians. Jones ER, et al. Nat Commun. 2015 Nov 16;6:8912. doi: http://dx.doi.org/10.1038/ncomms9912. Connected Histories (http://www.connectedhistories.org) and its sister site Manuscripts Online (http://www.manuscriptsonline.org) enable users to undertake structured searches across many distributed online historical datasets. The combined resources equate to approximately 30 billion data records. The aim was to realise the dream that mutliple datasets can be brought together in one place and combined to create new knowledge, but the process of doing this was challenging due to the nature of the datasets themselves: strange transcriptions; weird data models; and restrictive ownership. In this talk I will explore the difficulties of developing research resources for historical and literary studies that use multiple datasets, and show some of the computational (and human!) solutions for addressing these problems. Examples will be taken from the following DHI projects: Manuscripts Online, Connected Histories, Intoxicants and Early Modernity, and Digital Panopticon. The talk will also introduce the following technologies and methods for non-experts: data capture, data modelling, licensing, data visualisation, natural language processing, and nominal record linkage. Do you have what it takes to make a scholarly digital edition? Turning a traditional edition into an easily accessible, interactive resource is an attractive prospect. But what does it entail exactly? This talk will explore some real-life examples of projects to introduce the benefits and challenges of scholarly digital editions. The study of the rich and diverse Old Norse influence on the medieval English lexicon is very challenging, not least etymologically: given the genetic proximity of the languages in contact, it can be extremely difficult to identify which English words really do show input from Old Norse. In recent years there has been intensive etymological and contextual work on the Norse-derived vocabulary of some texts and traditions, especially before c. 1300 (see esp. Pons-Sanz 2007, 2013; Dance 2003, 2011). Nevertheless, the Scandinavian influence on the vocabulary of the great later Middle English literary monuments has rarely seen sustained exploration, and texts composed in the north and east of England, where the influence from Old Norse is attested in its greatest range and complexity, have not been treated together in a major, etymologically analytical study since Björkman’s survey of 1900–2. In this paper, I shall describe the new methodological framework developed for the Gersum Project (a three-year project, begun in January 2016 and funded by the U.K.’s Arts and Humanities Research Council; see www.gersum.org) which is undertaking a detailed study of the etymologies of c. 1600 words for which Old Norse input has been claimed, by means of a searchable online database. This paper introduces the research project RuneS and deals in detail with one of its doctoral theses. The research project “Runic writing in the Germanic languages (RuneS)”, funded by the Union of the German Academies of Sciences and based at the Goettingen Academy of Sciences and Humanities, includes three research units, at the universities of Kiel, Goettingen, and Eichstätt-Munich. The project analyzes the runic script as a writing system within its historico-cultural context. It especially focuses on phonemic, graphemic and text-pragmatic aspects, in particular on investigating the relationship between runic and Latin writing. 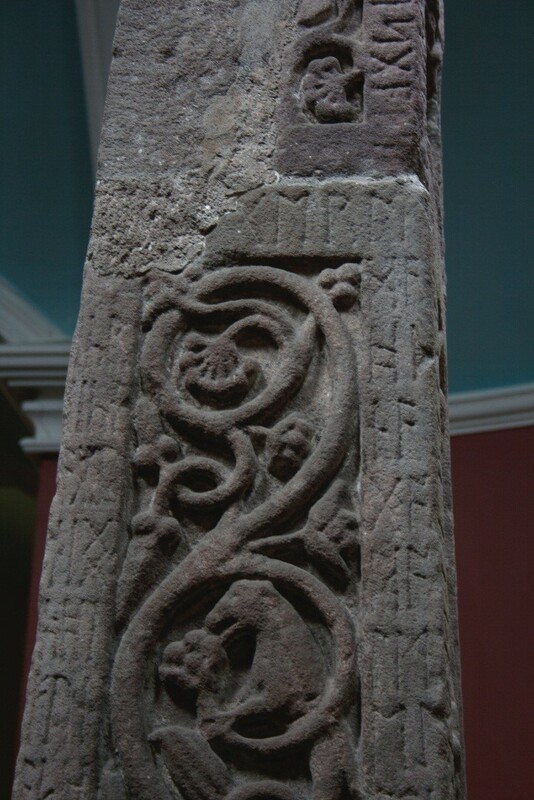 The doctoral thesis The Reconstruction of the Runic Text on the Ruthwell Cross has grown out of the Eichstätt-Munich research group. 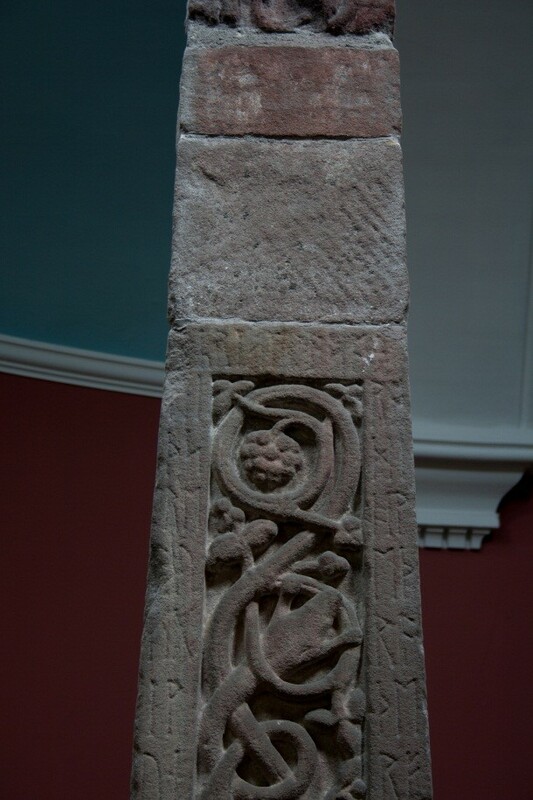 It deals with the longest inscription in Old English runes, which is carved on two panels of the 8th ct. Ruthwell Cross ‒ a Christian stone-cross now located in Dumfries and Galloway, Scotland. The inscription is comprised of a four stanza poem written in an early Northumbrian dialect. The poem narrates the crucifixion episode from a unique point of view: the cross is the speaker. The thesis attempts to reconstruct the Ruthwell Crucifixion Poem. With one third of the runes illegible, a restoration of the text proves to be difficult. What is more, in some instances even the remaining runes have encouraged scholarly debate. 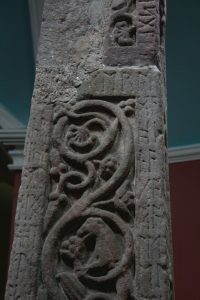 For example, the Old English word rōdi ‘rod’, referring to Christ’s cross, shows an unusal i-ending; recently, the form stemn ‘stem (of a tree)’ has been suggested instead, considering rōdi a mistake by the carver/designer. The present paper discusses the use of Old English rōd ‘rod; cross’ and gealga ‘gallows; cross’ written on the Ruthwell Cross through a comparative analysis of the runic poem with contemporary religious texts in Latin and Old English. Digital and analog humanities: one or two worlds? Přednáška představí na příkladu diachronní bohemistiky názory klasických, „analogových“ lingvistů na možnosti využití digitálních technologií při jejich práci, a to z pohledu počítačového odborníka, který se snaží prosazovat moderní technologie v tomto oboru od počátku 21. století. Výsledkem společného úsilí jsou zejména stránky Vokabulář webový (http://vokabular.ujc.cas.cz). Přednášející se pokusí hledat cestu, jak analogové a digitální humanitní vědy sbližovat. Illustrated by the example of diachronic Czech studies, the lecture will present the ideas of the classical “analog” linguists concerning of using digital technologies in their work. These ideas will be reflected from the point of view of a computer expert who has been striving to promote modern technologies in this field from the beginning of the 21st Century. The web site Vokabulář webový (Web Vocabulary; http://vokabular.ujc.cas.cz) represents a good example of such a joint effort. The presenter will focus on finding paths towards convergence of the analog and digital humanities. In my talk, I am going to present a wide range of digital edition projects I am involved in as an editor and collaborator at the Cologne Center for eHumanities. A focus will be on the methodologies applied in order to find answers to the old and fundamental question of what famous people of the past actually wrote. What do we really know about Patrick, the patron Saint of Ireland? What did the original decrees of early medieval emperors and rulers look like? What did Magister Guillelmus actually teach to his students in the early days of the Parisian university? What is the nature of the ingenious and chimerical work of the Portuguese poet Fernando Pessoa? How did the virtuous Swiss writer Hermann Burger create his first novel? How did the great German sociologist Niklas Luhmann develop his systems theory in practical terms? The early modern English household was central to early modern life – the foundational space of social, economic, religious and political cultures. 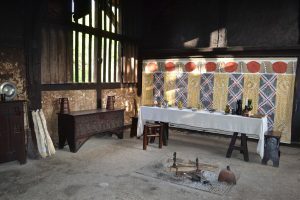 It was not, of course, just a family matter: it was seen as crucial for the maintenance of early modern social order, as household heads were responsible for their families, servants and apprentices. Actions within the household were therefore foundational to the formation of status and gendered identity, but also had wide political consequences – they mattered greatly in early modern England. 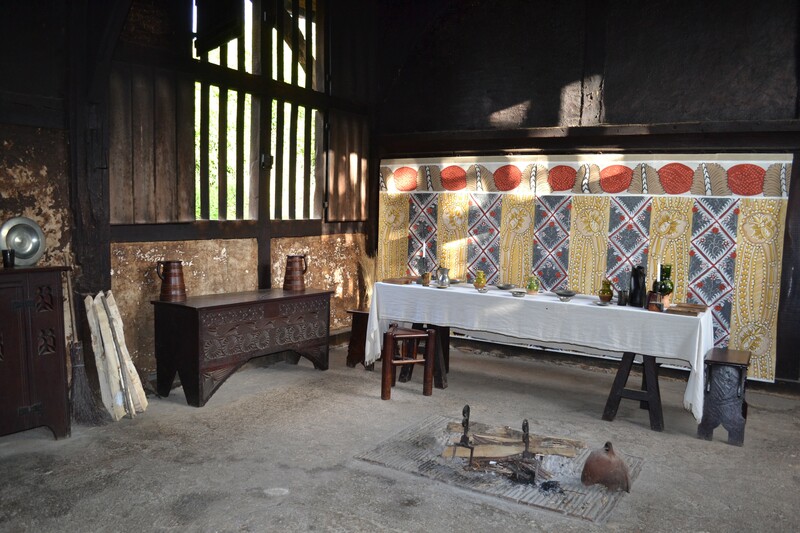 The wider project from which this paper comes seeks to understand domestic experience – what it felt like to live in such a household, and what defined the connections between spaces, objects and human activity. 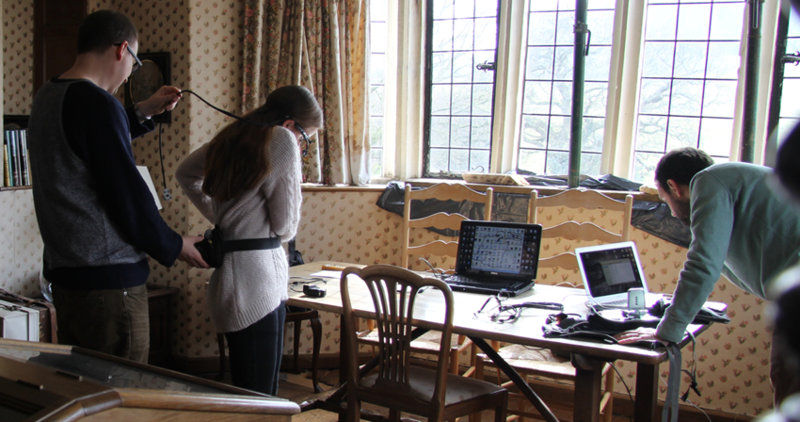 The paper surveys the digital methods by which we have explored the structuring of domestic experience, including mobile eye-tracking, 3D scanning and room reconstruction of various kinds, and time-lapse photography. It investigates the benefits and frustrations of these methods for addressing such questions as: how were behaviours located within an evolving domestic material environment? How were lifestyles formed day by day, hour by hour? Finally, in conclusion, it aims to imagine what other digital possibilities there might be for exploring and representing domestic experience in the future, and what questions they may be able to address. Past decades have experienced the rise of new, innovative methods within the field of textual scholarship. Philologists and historians have found new friends in computer scientists, evolutionary biologists, statisticians, and mathematicians, for instance, and the humanities are now eagerly cooperating with the sciences. 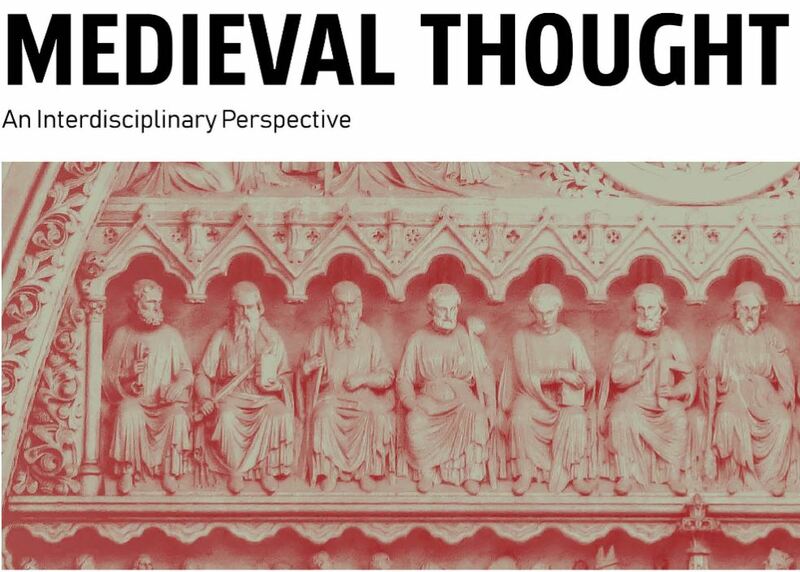 The lecture explores and illustrates some fresh approaches, new possibilities and computerized tools designed for studying ancient and medieval textual traditions. What is the current status quo of the field? 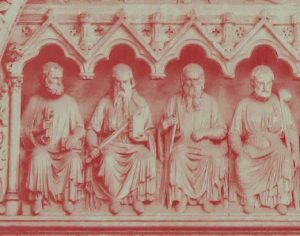 How can the novel methods help the scholar of old texts in establishing the critical text, and in studying the cultural history of a textual tradition? Archaeology is a field of research highly interconnected with the spatial information. Therefore in 1990s, introduction of the GIS brought rapid development in the archaeological methods and theory, esp. concerning landscape archaeology, documentation techniques and spatial analysis. Lecture will provide general overview of the possible applications of the GIS in archaeology; in higher detail, it will stress importance of the digital tools for landscape research (spatial relations, remote sensing, geomorphometry) and for the building of common knowledge base (predictive modelling; digital infrastructures). 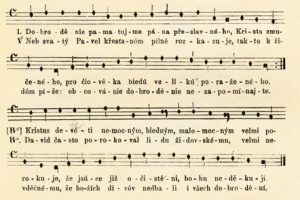 Gojda, M. – John, J. (eds.) 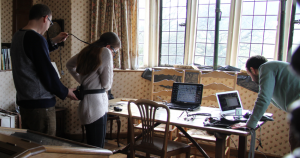 2013: Archaeology and Airborne Laser Scanning of the Landscape. Plzeň. Hengl, T. – Reuter, H.I. (eds.) 2009: Geomorphometry: Concepts, Software, Applications. Amsterdam. Kuna a kol. 2015: Structuring archaeological evidence: The Archaeological Map of the Czech Republic and related information systems. Prague. Kuna, M. et al. 2004: Nedestruktivní archeologie. Teorie, metody a cíle. [Non-destructive archaeology. Theory, methods and goals]. Praha. van Leusen, M. 2002: Pattern to Process: Methodological Investigations into the Formation and Interpretation of Spatial Patterns in Archaeological Landscapes. Utrecht. Wheatley, D. – Gillings, M. 2002: Spatial Technology and Archaeology: The archaeological applications of GIS. London – New York. Five credits for the course, conducted in English, are worth regular attendance (three absences maximum) and a successful completion of a final test. The test will take the form of a mini-essay of 600 words minimum you will be required to write in English on a topic of your own choice from a set of 10 “test topics” shortlisted from those assigned by each lecturer during the course. The test will take 120 mins.